Education has become the means of producing inept, unhappy, unimaginative and directionless individuals. This statement would be very true of the present educational system in Goa and India at large. Albert Einstein said: ‘Everybody is a genius. But if you judge a fish by its ability to climb a tree, it will live its whole life believing that it is stupid.’ So just what is our educational system doing for our young people besides undermining and suppressing any category of intelligence and skills it does not include in its quota of valid abilities and intellect? Mr Manguirish Pai Raiker, who is a prominent businessman and the former president of Goa Chamber of Commerce and Industry, has much to say about the educational system in its current avatar of leniency in examination corrections and promotion to higher classes. It is evident by the quality of students that pass out of university every year that all they ever do is learn enough by rote to pass exams. Since they lack the understanding of information, by the time they move to the next class, or even a job, only a few students are able to recall what they studied earlier. The foundation of the Indian educational system is impaired by a myriad fault lines. 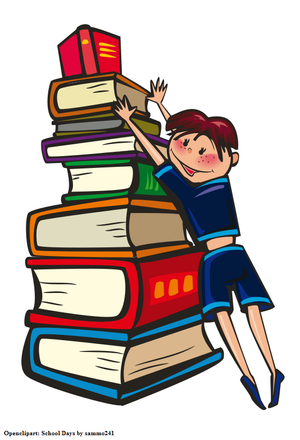 Instead of focusing on developing a sound basis of the fundamentals of science, history, mathematics and other subjects and instilling a love for learning, what we experience is teachers hurriedly rushing through textbooks full of ennui inspiring, outdated information. Mr Raiker says, ‘The major reason for this situation is a dearth of teachers with passion, dedication, intelligence and knowledge.’ Without passion, the teacher will never be able to reach out to students and transfer the information he or she possesses. 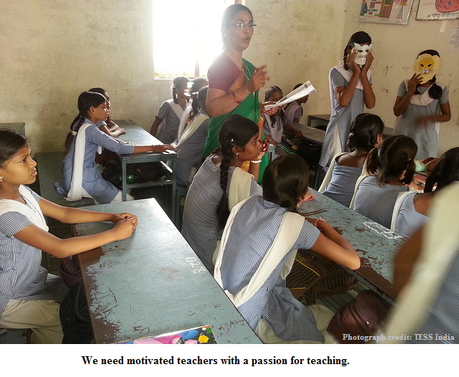 Teachers need to be dedicated enough to motivate the most uninspired students. Intellect is a prerequisite to the teaching profession and teachers should keep themselves abreast of the latest happenings and discoveries related to their area of study. Unfortunately, those who join the teaching profession are often individuals without a clear vision of their career and who have not been unable to find a job anywhere else. Needless to say, if the teacher is incompetent, the students will come to despise the subject being taught to them. Another problem is that the children are not provided with the right guidance and advice when it comes to picking a career. According to Mr Raiker, career counselling must be made mandatory after the seventh standard, as he believes they are not mature enough to make an astute and certain discernment before that time. Most children when questioned have the usual response of, ‘I want to become a doctor/engineer/lawyer’. As they go to higher classes, they realise they do not fit into the mould of these professions. ‘These are people who could be productive in so many other areas of life. With the concentration on a few choice professions, there is diminished interest in training in other skills and therefore the result is that no real skilled manpower exists in Goa,’ says Mr Raiker. Students must understand that a 50% or 60% achieved today does not represent their true intellectual prowess. This is entirely due to the lowering of educational standards of correction. Cut-off percentages in medicine and engineering are in the area of 90% and above. Hence these students need to find their own path in life. Guidance counsellors have the task of putting students through tests such as the Differential Aptitude Test, which has eight sub-tests. Students should be informed of the diversification of one field. For example, when people think of the defence forces as an occupation, they presume that all it encompasses is soldiers fighting on the front. The Indian Navy, in particular, has a need of people in the domains of law, medicine, air traffic control, information technology and logistics, etc. It also has an education and an electrical branch. There are jobs to avail of with the Indian Railways; Indian Civil Services: IAS (Indian Administrative Service, IRS (Indian Revenue Service), IPS (Indian Police Service) and IFS (Indian Forest Service), etc; Comptroller and Auditor General of India and so on. Parents attempting to live out their own ambitions through their children are another obstacle. Children are forced into professions towards which they have no aptitude or inclination. Peer pressure encourages a herd mentality as students pick subjects that their friends have chosen without gauging the difficulty level. Mr Raiker recalls a boy who took up commerce without realising what it entailed. He had an intense dislike for the framework of economics and later did a course in a technical institute. He is now a draftsman for structural engineers and is skilled in CAD drawing. ‘None of our students have a vision for their future,’ says Mr Raiker, ‘After studying engineering, you find them working in the IT industry or in finance companies. I know someone who is working as a cashier in a bank and has an MSc in Microbiology.’ This confusion in selecting the right course of study costs other diligent and capable students, who could have made excellent careers in the same professions, valuable seats in educational institutions. Students unable to further their education either due to economic constraints, lack of initiative or inability to cope with the increasing difficulty level often drop out. They should have access to education in the form of night schools/classes. ITI and polytechnic institutes in Goa have their premises available for the completion of regular classes as well as on weekends. Additional teachers can be hired to impart training in vocational and skill based occupations such as carpentry, plumbing, mechanics, etc. These dropouts could even be trained in basic paramedical services (injecting people and taking blood pressure readings) and as caregivers for the elderly in villages where doctors are few or absent. Mr Raiker says, ‘One thing that can bring change in society is education…good education…not what is imparted in schools and colleges. The education system has to undergo a drastic change. Evaluation in schools should be done on a weekly basis.’ With a grading and credit system in place along with the non-disclosure of marks to anyone but the student, most students will concentrate on learning rather than the acquisition of high marks in the spirit of competitiveness. Prutha Goa and Mr Maguirish Pai Raiker believe strongly in the value of education and in the hope of change and improvement in the present system. Mr Raiker seeks to work alongside anyone who can contribute ideas and expertise to the project of developing education in Goa, and anyone reading this article who is inspired by the need and potential for change is invited to comment on our social media or contact us.